Product prices and availability are accurate as of 2019-04-22 10:57:35 UTC and are subject to change. Any price and availability information displayed on http://www.amazon.com/ at the time of purchase will apply to the purchase of this product. The Cavaliere SV218 ACSCCELZ/Q WM 10 FEET is for a chimney extension for SV218Z and SV218Q range hoods. The telescopic chimney of the range hood by itself only fits ceilings up to 9 feet. This component allows for wall mount installations in ceilings up to 10 feet high. 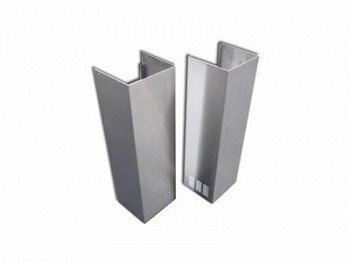 This Cavaliere chimney extension is made of durable high quality 19 gauge stainless steel that matches the range hood's material.